HTC has announced the expansion of its Desire range with the introduction of a new mid-range smartphone, the Desire 601 and an entry-level smartphone, the Desire 300. The HTC Desire 601 comes with a 4.5-inch qHD display with a 540×960 pixels resolution. It is powered by a 1.4GHz dual-core Qualcomm Snapdragon 400 processor along with 1GB of RAM. 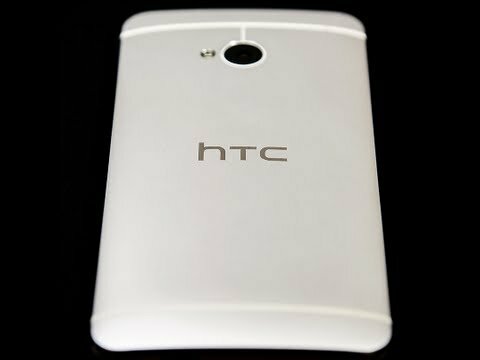 It sports a 5-megapixel rear camera with some HTC One camera goodies like Sequence shot, Always Smile, Object Removal and HTC Zoe. It also sports a VGA front-facing camera. The device comes with 8GB of internal storage which can be expanded up to 64GB via a microSD card. The HTC Desire 601 also features dual-front stereo speakers with built-in amplifiers. Connectivity options on the device include Bluetooth, Wi-Fi, GPS and 3G. The device includes a 2100mAh battery that the company claims can deliver about 13 hours of talk-time and 440 hours of standby time. The HTC Desire 300 comes with a 4.3-inch WVGA display. The device is powered by a 1GHz dual-core Qualcomm Snapdragon S4processor along with 512MB RAM. The phone also packs in 4GB of internal storage that can be expanded up to 64GB via microSD card. It sports a 5-megapixel rear camera and a VGA front-facing camera. The connectivity options on the HTC Desire 300 include Wi-Fi, Bluetooth, GPS and 3G. Backing the device is a 1650mAh battery that can deliver up to 11 hours of talk-time and 625 hours of standby time. Both devices run Android Jelly Bean with HTC Sense on top with BlinkFeed and other features. The new HTC Desire 601 will be available with mobile operators and major retailers in select markets across EMEA (Europe, the Middle East and Africa) in September 2013. The HTC Desire 300 will be available in select markets from October 2013.